London Apartment Owners Sue Tate Modern Over Peeping From Museum's Balcony A handful of residents in a multimillion-dollar glass tower are arguing the museum has created a state of "near constant surveillance" since opening a terrace that offers one of London's best views. An exterior view of the new addition to the Tate Modern gallery in London in 2016. A handful of apartment owners are suing the museum, arguing it has created a state of "near constant surveillance" since opening a 10th floor terrace. A small, dark sign with white lettering offers a gentle suggestion in etiquette: "Please respect our neighbours' privacy." The five words offer a hint of the legal squabble that is pitting a handful of luxury apartment dwellers against one of London's most important — and free — art museums. The placard is located on the 10th floor viewing deck of the Tate Modern's Blavatnik Building, which opened in 2016. The sign is intended to discourage museum visitors from gawking into the glass-enclosed living rooms of the wealthy residents only 200 feet away. To the dismay of the inhabitants, the art lovers don't always comply. As a result, a handful of residents in the multimillion-dollar homes — part of the NEO Bankside development that was completed in 2012 — filed a lawsuit against the Tate Modern, arguing the museum has created a state of "near constant surveillance" since opening the terrace, The Guardian reported. Monday marked the second day of hearings in the case, in which the apartment owners are seeking an injunction "that would require the gallery either to restrict access to parts of the terrace adjacent to their homes or to erect a screen," according to The New York Times. Tom Weekes, a lawyer for the NEO Bankside residents, argued on Friday that the gallery is imposing "an unusually intense visual scrutiny" on the people who live there, the paper said. "Mr. Weekes said that one of the claimants once counted 84 people photographing the building over a 90-minute period, and 'discovered that a photo of himself had been posted on Instagram to 1,027 followers,' according to local media reports." 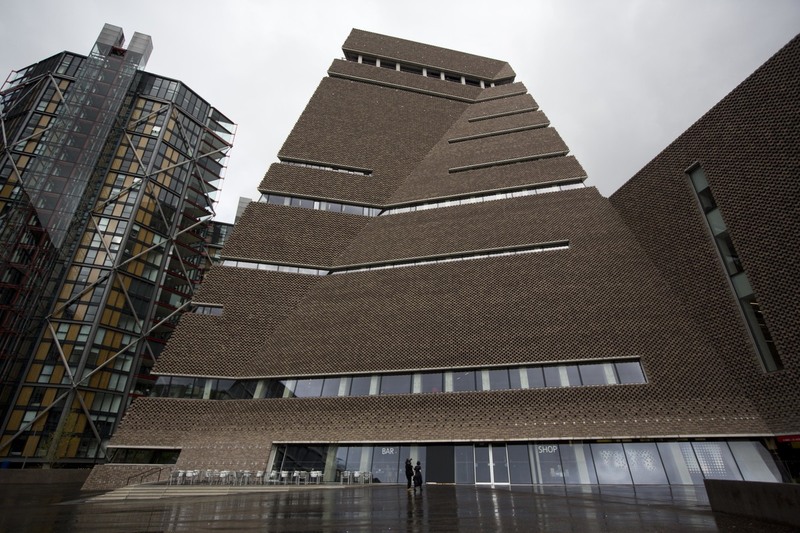 In the years leading up to the lawsuit, The Guardian said, Tate Modern's former director Nicholas Serota suggested the people complaining of feeling like they're living in a fishbowl should install curtains or blinds in the windows. They rejected those ideas. Meanwhile, the group behind the lawsuit has offered to pay for a screen on the portion of the viewing platform that looks toward their homes. The museum declined the offer. A lawyer for the Tate board of trustees told the High Court that the apartment owners were unreasonably seeking to "deny to the public the right to use the viewing platform for its intended purpose merely to give the claimants an unencumbered right to enjoy their own view." The terrace offers visitors a free, 360-degree view of London, making it a popular tourist destination. On a visit to the Tate Modern in 2017, author Reif Larsen remarked in a story for The New York Times that "the museum may be among the best-known examples of the now fashionable transformation of derelict factories into dynamic cultural space." He added that the decision to move "London's contemporary art world" to Bankside is one of the catalysts for the "real estate mania that has engulfed" the surrounding neighborhood. Larsen called the unobstructed view into the personal living spaces of a handful of the city's rich, and the possibility that they could stare back, "a perfect distillation of the current battle for London's soul." It is a dilemma forcing Londoners to examine, he wrote, "What kind of public spaces are valuable to us?"